Looking for Unique Bridal Wear? Head to Shrangar, Chandni Chowk’s Hidden Gem to Find Your Dream Wedding Lehenga! Attention brides! What’s the first thing you start thinking of right after the proposal? That’s right. Your gorgeous wedding lehenga! No matter what, your wedding lehenga needs to be perfect. 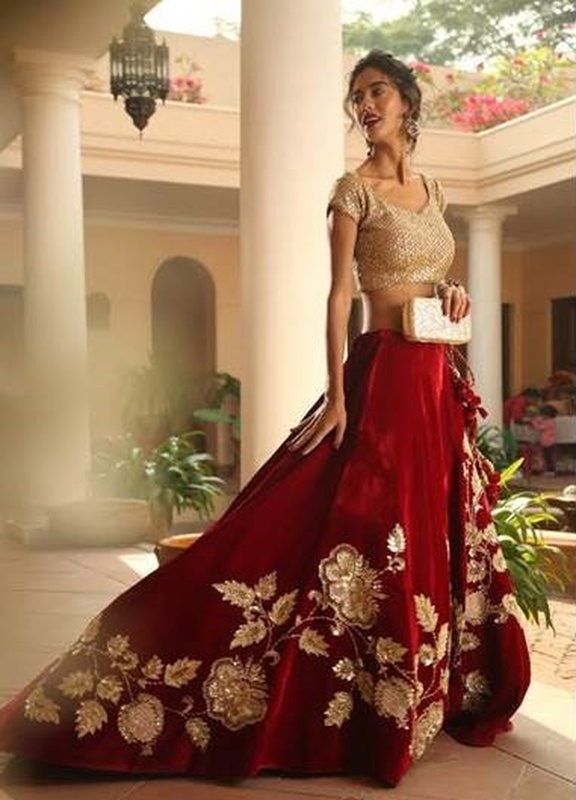 And what we have here is the answer to how to find your bridal dream lehenga. We did a little searching around Chandi Chowk, Delhi and found a couple of stores that simply grabbed our attention. Shrangar happens to be one of them! And we’re going to tell you all about why you should head there asap. If you’re looking for a bridal lehenga, a mehndi outfit or a bridesmaid’s dress, Shrangar is the one-stop shop for all your wedding needs! They started out in 1986 and have come a long way since with a buzzing clientele of industrialists and fashion stalwarts. It was born out of a love for heritage, colour and craftsmanship and has been developing itself brilliantly in them. What’s more is that each of their designs are developed with individual style and personality, which makes sure that you’d definitely find something that you would just love. A number of different brides, a number of different styles! But Shrangar’s designs manage to encapsulate all of that under one atelier. From their bespoke bridal lehengas, traditional as well as contemporary sarees, trending suits with timeless embroidery and rich fabric, to the eclectic collection of breath-taking jackets and gowns, Shrangar is all about distinctive styling, unrivalled craftsmanship & exquisite detailing, all of which make for the perfect bridal trousseau! A niche label for all those looking for something that speaks volumes in uniqueness, beauty and personal style. Whether you are looking for your bridal trousseau collection, or you are the mother-of-the-bride or attending a party as a guest, Shrangar offers a range of formal and semi-formal saris, anarkalis, lehengas, gowns and cocktail-ensembles. They ensure that all your Indian fashion needs for every special occasion are taken care of with their Bespoke, Couture and Trousseau services. Well? What are you waiting for, guys? Head over to Shrangar, Chandni Chowk asap!